Meticulously cared for Westwood Estates Custom Built Home situated on a 1 acre lot in a Gated Equestrian community. This home has a BRAND NEW ROOF and has been freshly painted! 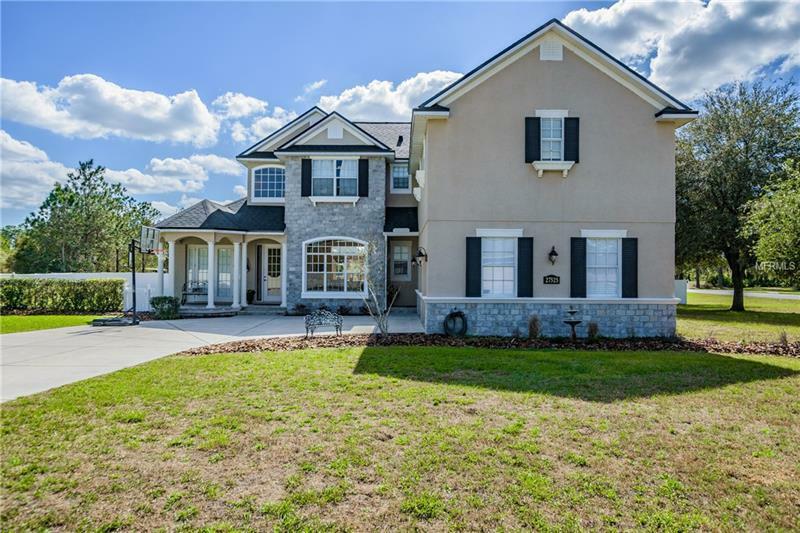 This homes luxury is showcased from the moment you walk in the glass door leading into a formal living room with 20' Ceilings and massive windows that allow for expansive amounts of natural light. The formal dining room is off of the living room and comfortably fits a large table for all of your entertaining occasions. The master bedroom is located on the first floor and separated from other bedrooms to ensure privacy , the master suite has tray ceilings with an additional sitting room and features his and hers walk in closets. Master bathroom has a garden tub and separate shower as well as ample counter space and upgraded plumbing fixtures. This chef's kitchen has custom cabinets, a large island, walk in pantry and quartz countertops. The kitchen overlooks the family room with a wood burning fireplace that leads into a large game room which has the ability to function as a den/secondary office/additional living space. The first floor also features the second bedroom, a mudroom/utility room and a half bath which could also be converted to a full pool bath if one was added. This homes upgrades include a ZONED AC system along with a radiant barrier and R30 insulation which all assist in lowering energy costs. Tile throughout the home is 18x18, there is crown moulding throughout, 6" baseboards and rounded corner beads.